Husky Dog sledding Adventure at beautiful Lake Mývatn! 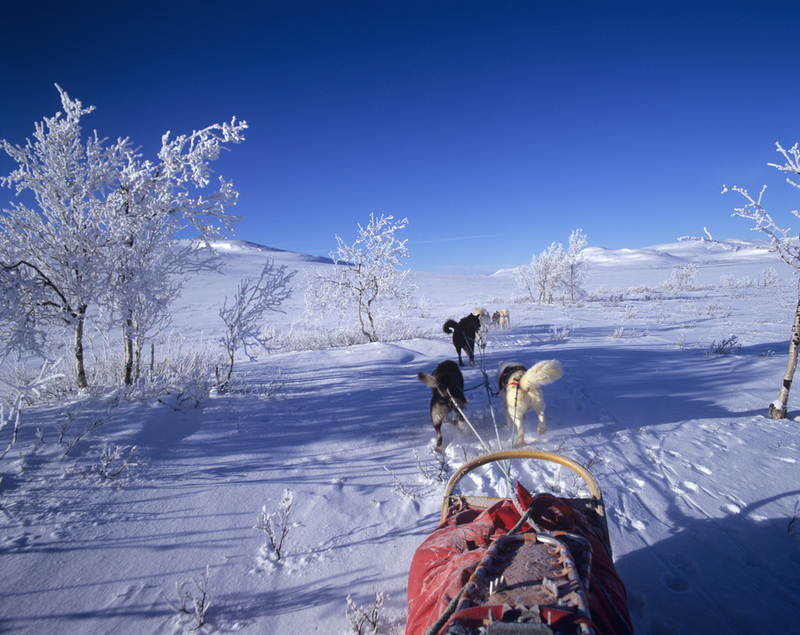 Have you ever dreamed of travelling with a team of Husky dogs through beautiful snow covered wilderness? We have tried it ourselves – and fell in love with the wonderful dogs and this very, very special way of travelling! ​ Our partner for the North Iceland Husky dog adventure is a small family run company close to Lake Mývatn specializing in dogsledding. They have around 20-25 Siberian Husky dogs which they breed and train themselves. The dogs are very friendly and love to run and pull but also love to get a lot attention and belly rubs. We would be happy to give you a package price to and from Reykjavik if you are staying in Reykjavik. 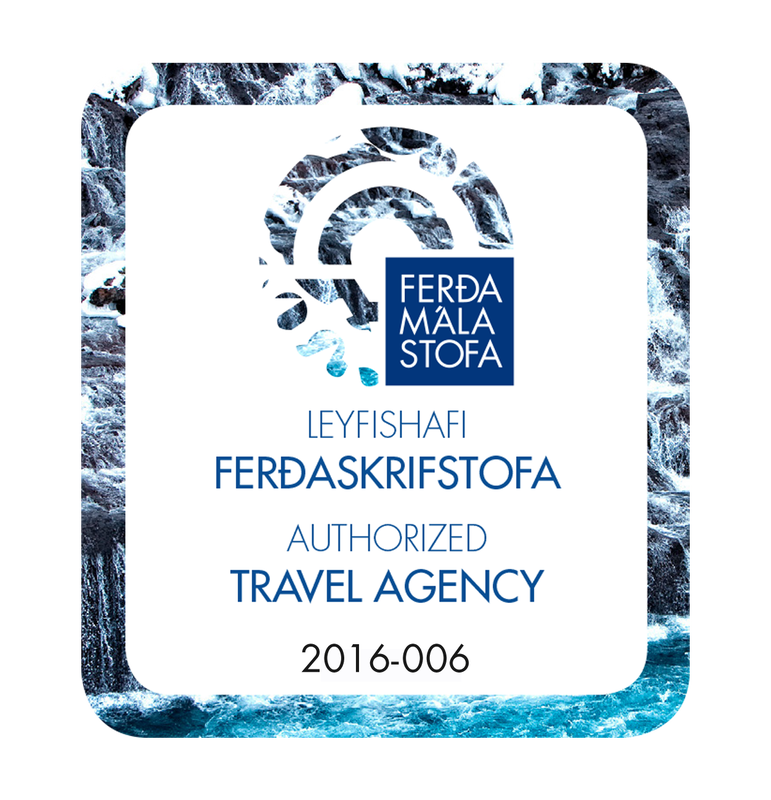 Price depend on season, number of guests travelling, way of travelling to North Iceland etc. Please note the below booking is only for the dog sledding tour - no transfers included. You can book this tour with or without a transfer to/from Reykjavik. See below booking possibilities. If you would like to get a taste of travelling with husky dogs in Iceland (45 minutes tours) we can recommend our partners in South Iceland. You get an exciting experience with sled dogs - but please note: we cannot guarantee it to be on snow all year round. From December to June the tours usually start from a location where there is access to snow, during the other months the tours may be on dry land. Please contact us prior to booking if you want more detailed information. We are operating in different locations depending on where the best conditions are for our dear 4-legged crew in order to get the best performance of our dogs. The travel time from Reykjavík will vary from 30 minutes to 2 hours. We will operate as close to Reykjavik as possible. Thus we recommend for you to book your accommodation in Reykjavík the night before the tour. Read the information in your ticket, and check your email in case we have tried to reach you to let you know of a change in location.​​ The final location of the tour will be announced a week before your tour - information included in your ticket. The trips take place on open landscape offering breathtaking views – weather permitting, of course. Not suitable during pregnancy. Weight limit of 95kg and 30 BMI. ​​Due to the fact that this is an outdoor activity and the weather can not be controlled, we recommend children to be at least 6 years old to join our dog mushing tour. Book here if: Meet on Location tour, for those renting a car coming by themselves to our location. Icelanders love to travel the highland on horseback – the perfect winter equivalent are the Husky Expeditions operated by our favorite Norwegian partner Björn and his family. 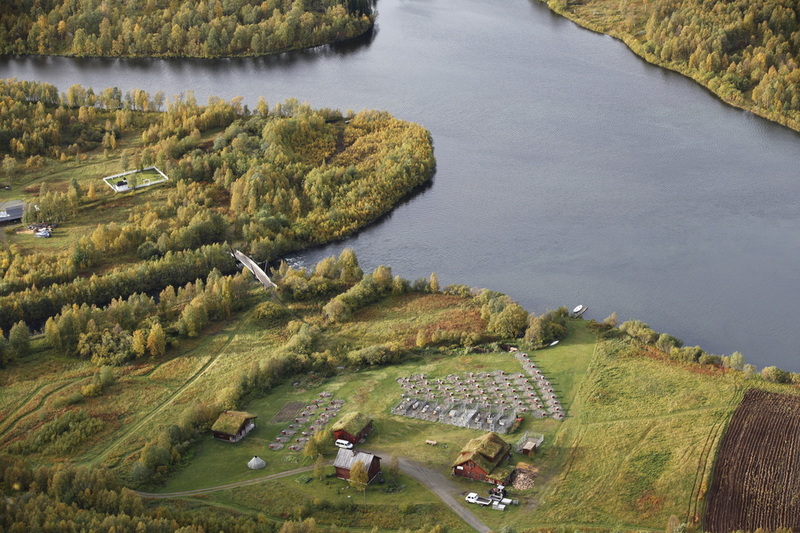 The family lives on a Huskyfarm in Northern Norway close to lake Altevatn. From there they set out to the great outdoors with small personal groups where every member takes care of his own team of dogs! 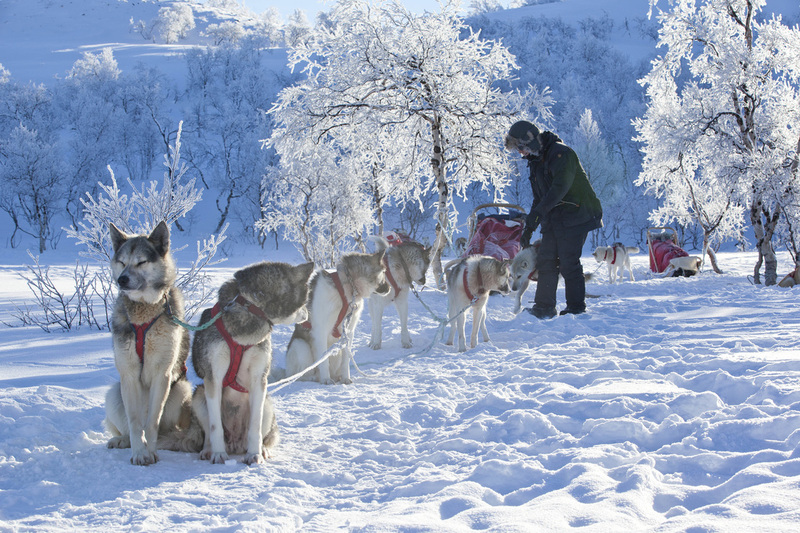 We have tried it ourselves – and fell in love with the wonderful Norwegian nature, the dogs and this very, very special way of travelling! We are at a loss to describe the feeling standing on your sledge with nothing than your dogs, team members and the incredible wild Nordic nature around you! Everybody who wants to experience the nature in winter, the white beautiful loneliness, the companionship with your team of dogs and the feeling of „having to trust on your own capabilities“ can participate. be generally in a good mood and have a friendly attitude. take responsibility and be helpful! have compassion and understanding for the dogs abilities and limits. have a general physical fitness level equivalent to one that would be required to go cycling in the mountains. Please note: Previous knowledge about dogsledding is not necessary. You will get a thorough introduction before each tour. Every member of the small group has his own team of dogs. 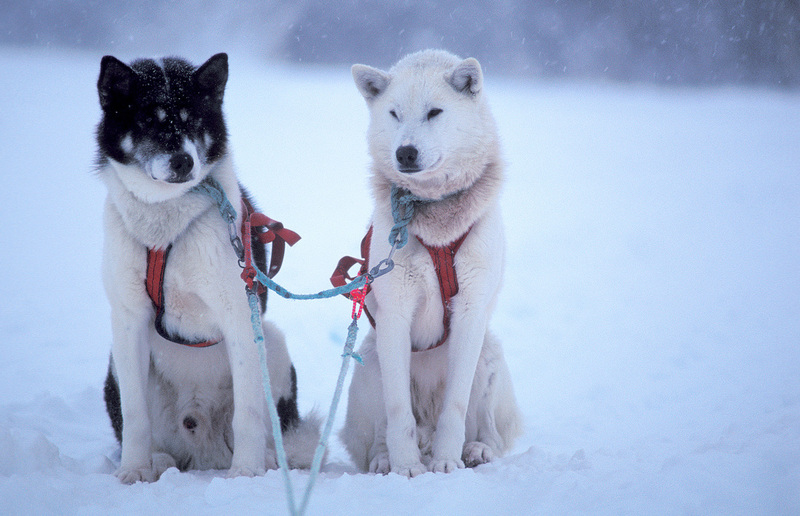 The number of dogs belonging to your team depend on your weight and the length of the trip. During the tour everything you need will be transported on the sledge. There is no back up on these tours! These tours are done in a proper expedition style and that is exactly their magic! The dogs are extremely friendly and love to be cuddled! Every day you will have to harness your own dogs, feed them and take care of them in every way necessary and advised by your experienced guide. Accommmodation before and after the tour is on the Huskyfarm in the typical Norwegian style guesthouse or cabin. 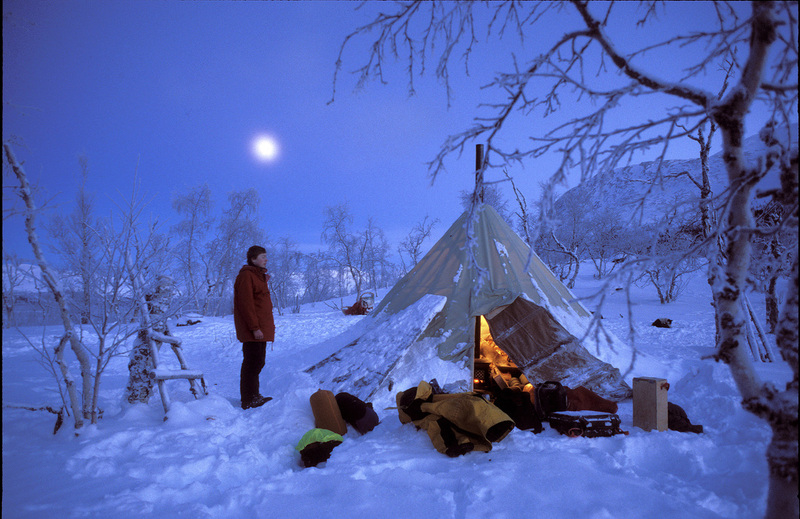 During the tour we stay in simple mountain cabins, in traditional Sami tens called lavvu or regular tents. 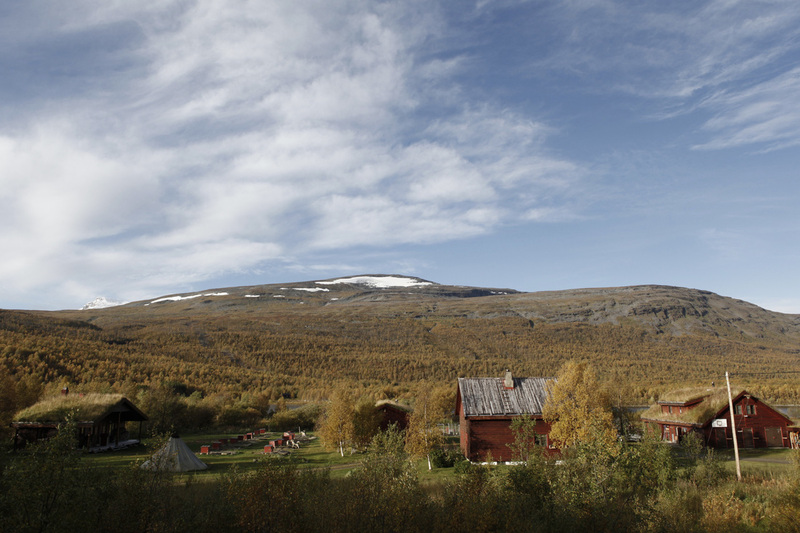 Tents and mountain cabins are heated by wood stove – there will be no showers or electricity during the tours! But you know what – you won´t care! Please contact us for more information and dates and make sure to make an early booking since the groups are small and the tours are very popular! 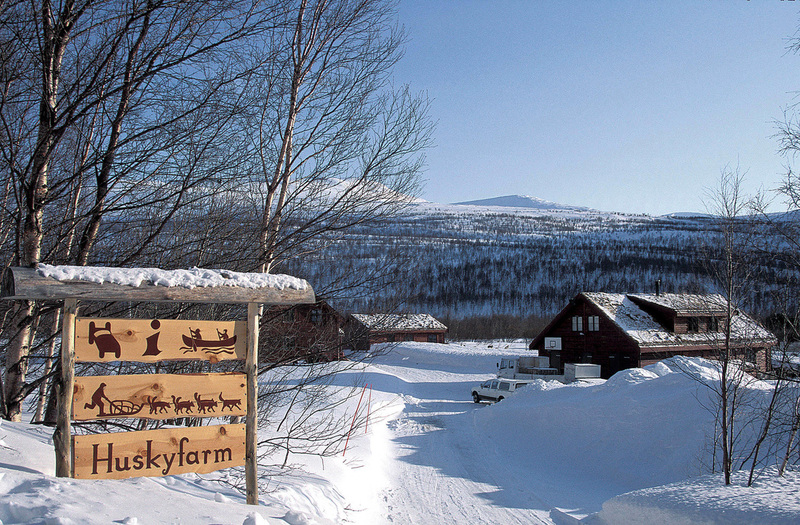 For those that don´t feel quite ready for a long husky tour the Huskyfarm also offers a farm stay and tours like Skitrekking with Huskys or shorter private tours from the farm grounds. The beautiful Norwegian style guesthouse and cottage provide cozy lodgings and a perfect starting point for cross country skiing, canoeing or hiking. Husky summer - Ideal getaway for families! For children the experience of the Nordic summer is first of all the one of boundless freedom. There are no fences and no darkness to limit activities. The wide spectrum of activities include: trips by foot, bicycle or canoe, spending the night in a tent or a mountain cabin by the camp fire, barbecue and fishing. A husky dog will be a great companion on walking tours and an incredible motivation for the lazy walker!